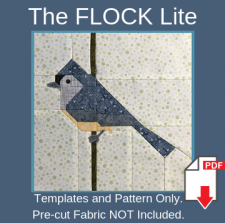 The FLOCK Lite is a frequently-requested version of the popular monthly pre-cut, patchwork-pieced bird block series. 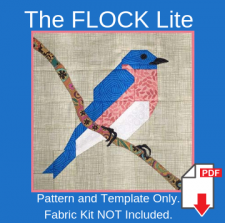 When you join The FLOCK Lite, you receive the pattern, instructions, and the full-sized template set in PDF format. 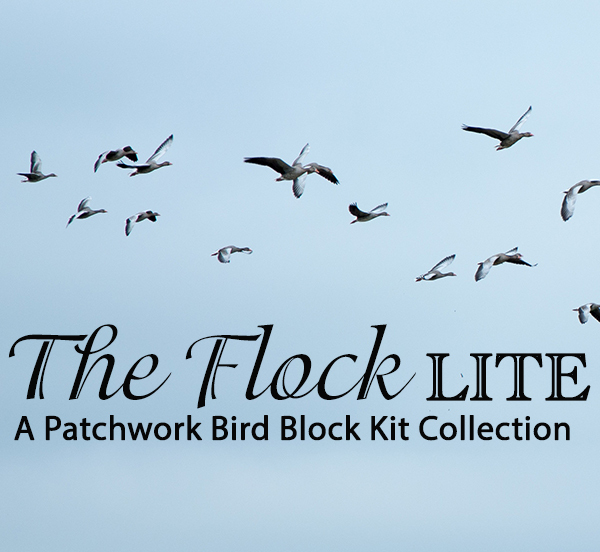 These are delivered to your email address each month, one year after The FLOCK block kit was released. 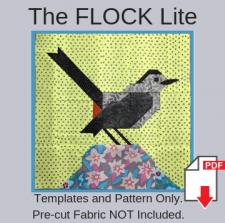 The block, made from the instructions, represents a detailed bird – a new species each month. 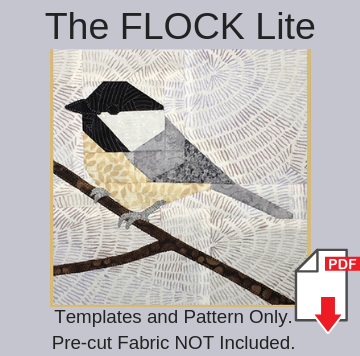 The FLOCK Lite does NOT include precision pre-cut fabrics to make the block, however, your member benefits include entry to The FLOCK Quilters, an online community of FLOCK members. 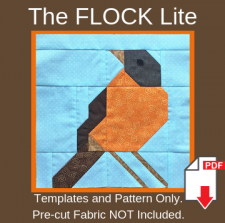 Please note that The FLOCK Lite relies on template shapes to create the varied block pieced elements. 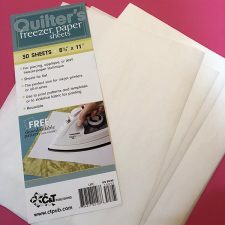 Tips to use printable freezer paper to rotary cut pieces are included with each pattern. 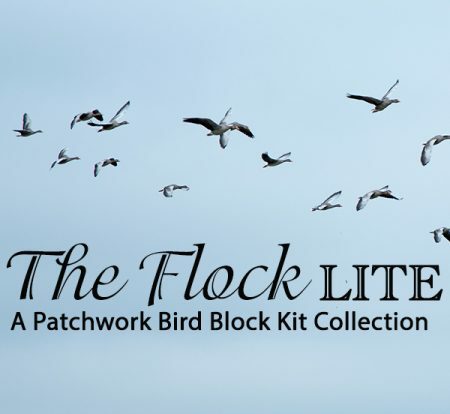 Both The FLOCK and The FLOCK Lite have NO hard-and-fast start date and no hard-and-fast end date. Begin your collection at any time. As a member, you may purchase previously released template sets at special member pricing. 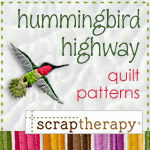 All PDF template and pattern sales are final. No refunds will be issued.